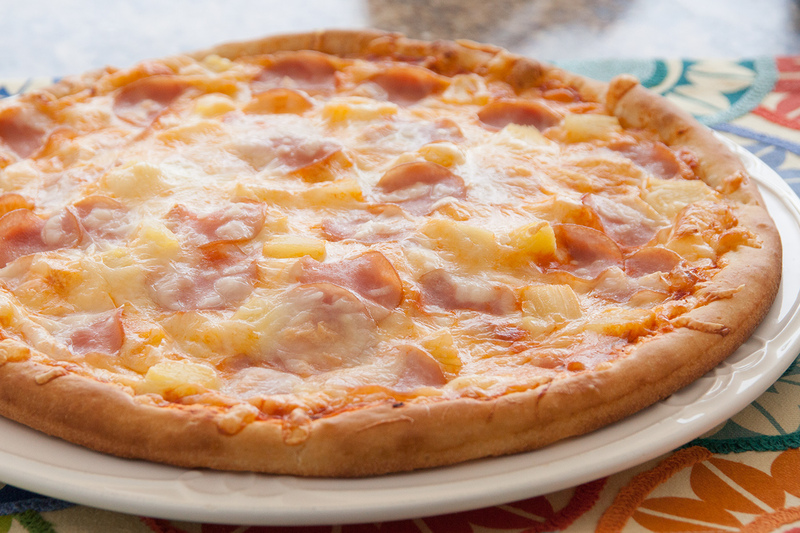 Canadian bacon and pineapple make this a great traditional Hawaiian Pizza. Spray counter lightly with non-stick cooking spray. Combine rolls together and roll into a 13-inch circle. Cover with plastic wrap and let rest for 15 minutes. Remove wrap and place dough on a 13-inch sprayed pizza pan. Top with sauce, cheese, bacon and pineapple. Bake at 450 degrees F 10-12 minutes.